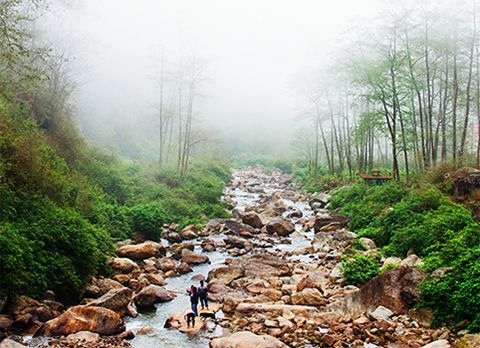 Hidden beneath the misty white veil of fog at an altitude of 7198ft close to the Indo-Nepal border is a quaint but scenic town called Sukhiapokhri. 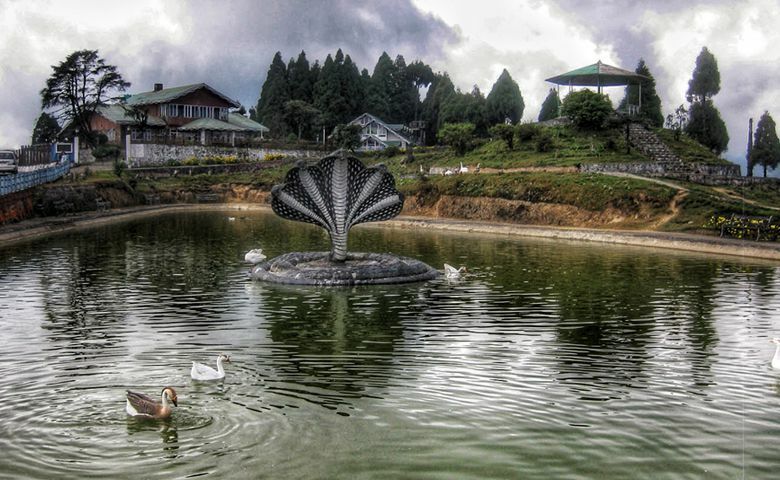 Located 17km from the Darjeeling, on the road Ghoom to Mirik, Sukhiapokhri offers a magnificent vista of the mighty Kanchenjunga on a clear day but it remains mostly cloudy as it lies on ridgeline of Balasan River Valley to the south and Rangeet River to north. 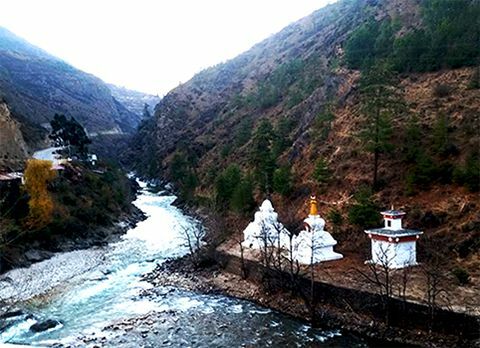 The blissful weather of Sukhiapokhri has made it a favored tourist destination as it acts as a summer retreat when most of the places are scorching under the blistering heat of sun. 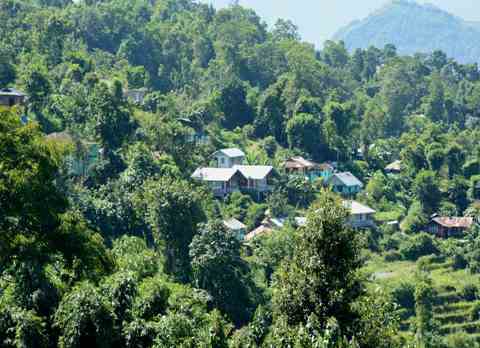 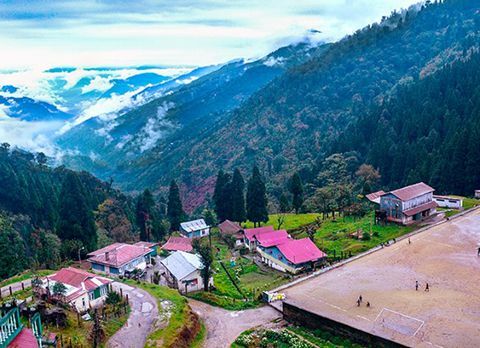 Cuddled amidst the lofty valley of Eastern Himalayas the journey towards this quaint town Sukhiapokhri is filled with astounding scenery making the trip towards Sukhiapokhri an unforgettable experience. 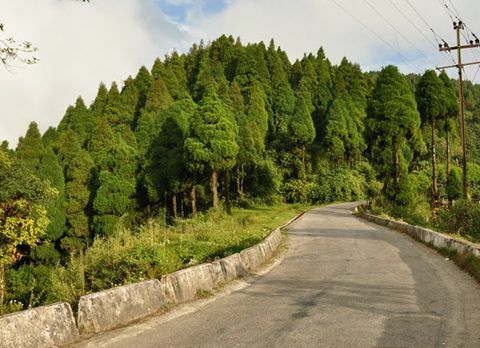 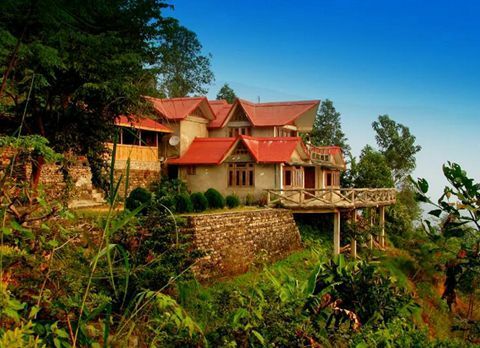 Traveling on the winding road while being kissed by the cool mountain air and witnessing the picturesque view of the changing landscape form the dense forest of pine trees to valley dotted with lush tea garden, the blissful journey towards Sukhiapokhri offers an exquisite visual treat for the tourists. 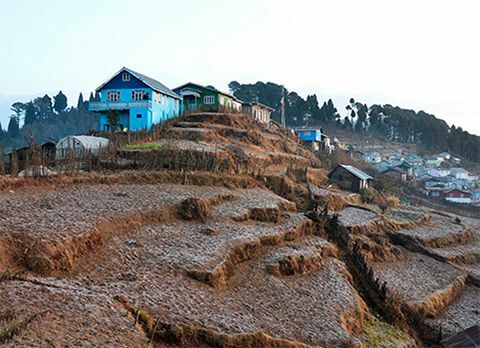 A pale gloom seems to loom over the quaint township Sukhiapokhri for most of the year, like the veil of clouds that obscures the Kanchenjunga and other snow-capped titans in the distance. 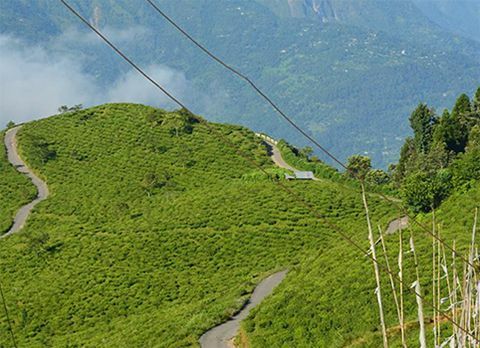 In spring, though, the sparkle of rhododendrons lights up the entire valley of Sukhiapokhri creating an awe-inspiring vista for the bystanders. 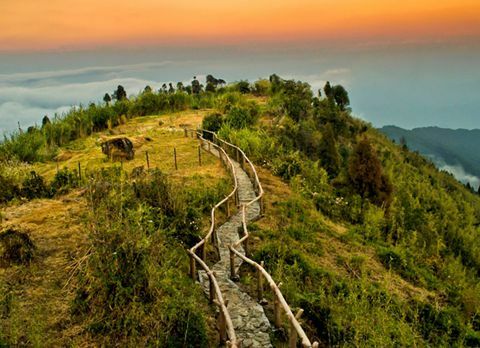 Sukhiapokhri is dotted with many pictorial destinations which has hyped the interest of tourists. 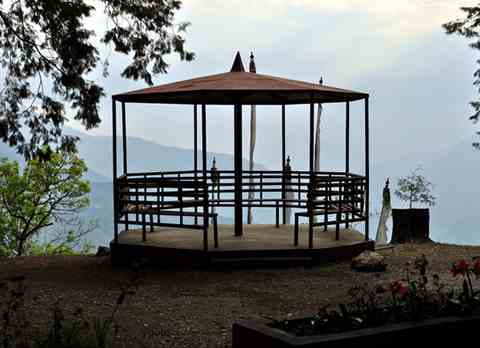 Located 2km form Sukhiapokhri is Jorpokhri, a tiny place on a hilltop. 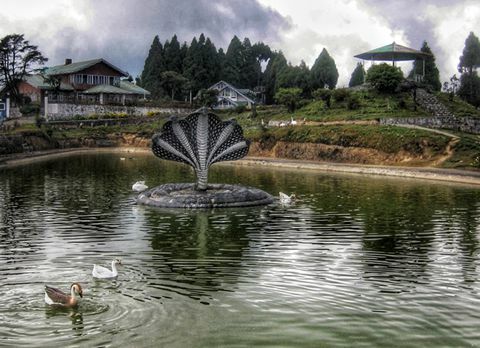 Jorpokhri is an eco-friendly destination made for the preservation of the Himalayan salamander where tourist can enjoy the beauty of two lakes cuddled amidst the lush green forest of pine trees. 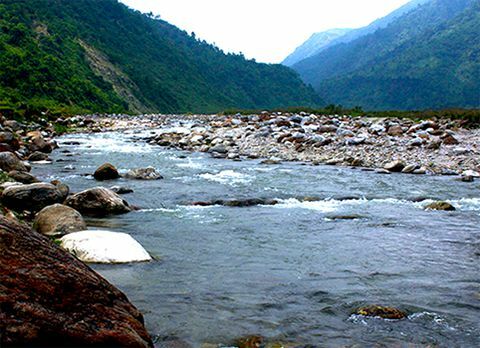 The word “Jore” means two and “pokhri” stands for “pond.” Sukhiapokhri is also located on the road towards Manebhanjan, a quaint transit town located at the periphery of Singalila National Park. 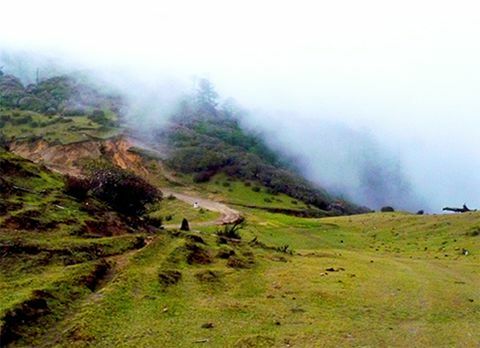 Located 7km from Sukhiapokhri tourist can travel towards Manebhanjan, to either venture upon the altitude destination to witness the surreal view of third highest mountain and its surrounding ranges from Sandakphu also known as Trekkers’ wonderland due the astounding trekking route through the dense forest of rhododendron or to see the great collection of vintage 1950’s Land Rover at its finest state. 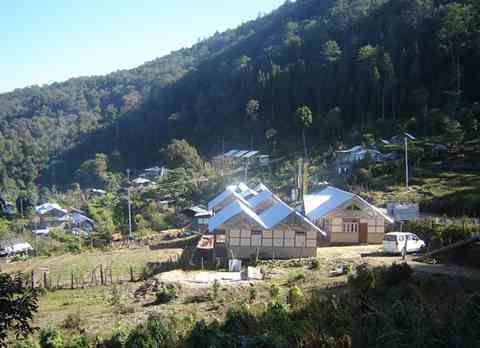 Sukhiapokhri has its own market place which is a great place to see the people of different community living in peace. 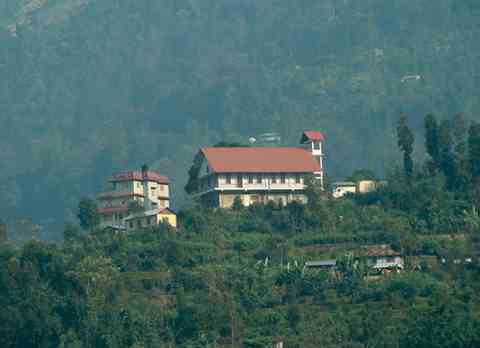 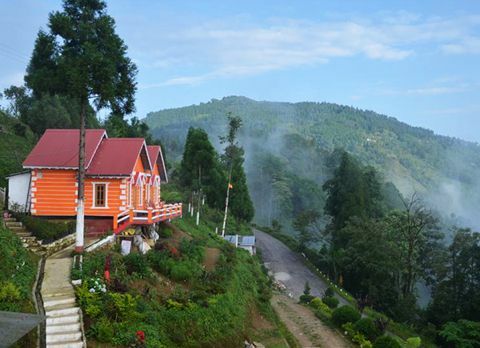 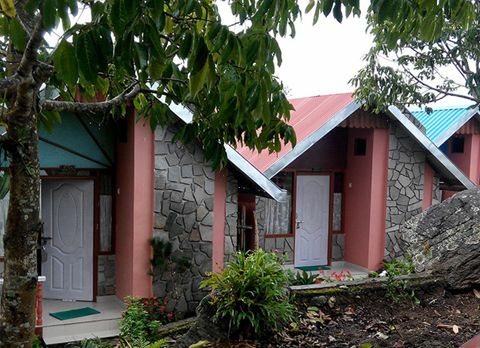 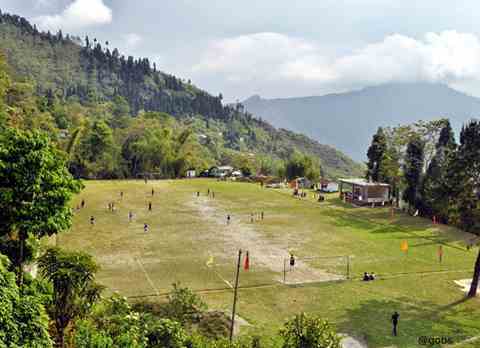 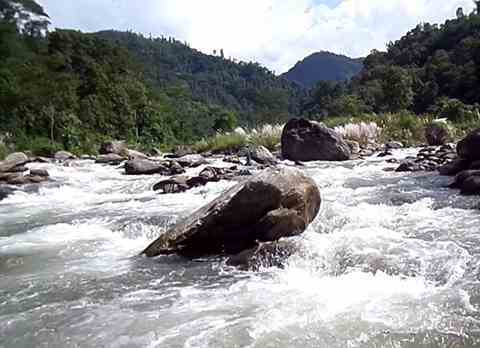 Sukhiapokhri with its astounding vista of lofty mountainous valley and serene ambiance has become a safe haven for the tourist seeking refuge amidst the mountains of Eastern Himalayas. 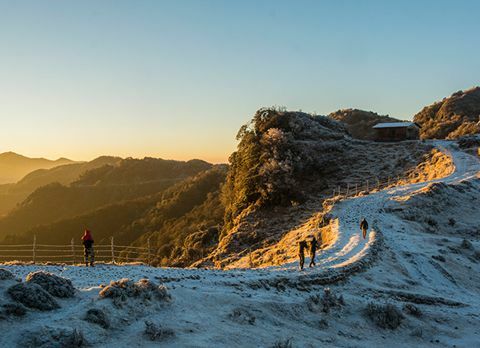 Watching the sun slowly rise above the horizon over the snowcapped mountains while lifting the thin veil of fog and glazing the majestic mountains with an orange hue and making them glitter like covered with precious jewels, is an outstanding phenomena which has left many tourist spell bound and it can be witnessed from Sukhiapokhri. 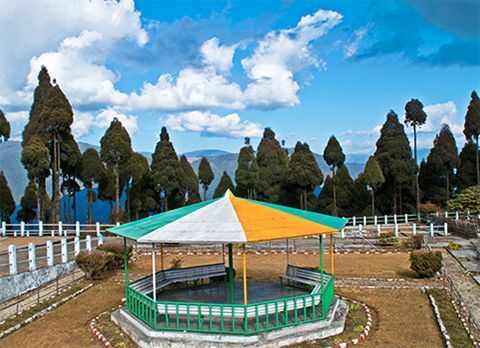 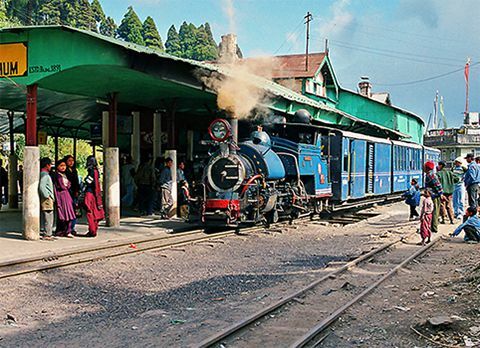 Surrounded by the daunting hills of dotted with dense forest of pine with a cool misty weather, Sukhiapokhri with its pictorial destination and surreal vista of Himalayas has become a must visit destination of Darjeeling. 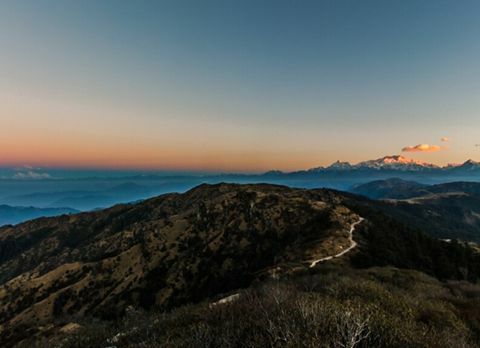 The best time to relish the pleasant weather and outstanding view of snowcapped Himalayas while traveling to Sukhiapokhri is during spring season from April to May and autumn season October to November.